Imagine combining the healing power of gemstones with beauty. Such lavish thought, such sought-after luxury can only be conceptualized in the Middle East. A brand new skincare brand pioneered by a pair of Kuwaiti princesses and proudly made in the UK, the very concept of Prismologie had me excited the very first time I saw it filling up my social media feeds. I was sent these absolutely adorable sample-sized tubes to try, and wanted to share my initial thoughts on the brand with you here today. My mother always told me to keep my hands well moisturized. After all, the very first signs of aging show up on neglected paws. My mother has the biggest collection of hand creams, she has a dispenser bottle in the kitchen and even one in the glove compartment of her car. I wish I had paid heed to my mother’s wise words. At 30-something, my hands have seen better days. I am currently on a nail varnish detox after recurring sessions of Gelish stripped my nails and cuticles of their original strength and sheen (yes, I never learn! I wrote a post on the vices of Gelish years ago. Click here for a recap). My hand-care routine may have gone awry, but my love for gemstones has only grown over the years. I’ve always been drawn to the healing power of gemstones, and two of my personal favorites is jade and rose quartz. Imagine my excitement to find these gems in the mini hand-care kit I got sent from Prismologie! The first product in this two-step hand care routine, the Prismologie Jade & Vetiver Restorative Hand Exfoliant is a gel-like, mildly exfoliating hand wash.
Vetiver: A besought essential oil believed to have calming, harmonizing properties. Jade: Added here as the exfoliating agent, this semi-precious gemstone is worn in many cultures including China and New Zealand for balance and inner calm. Being a Kiwi myself, I own a number of beautifully carved Maori jade pendants, but never have I thought of scrubbing my hands with these! Avocado & Tamanu Oil: Rich, moisturizing oils to hydrate and rejuvenate lackluster skin. I gently exfoliated my hands, concentrating on the back of my palms and scrubbing in gentle circular motion. The earthy scent of Vetiver come through and makes the experience all at once holistic and calming. Of all the gemstones I own, I almost always have a rose quartz on me. Rose quartz is the stone of love, more specifically, self-love and having it in a hand cream reinforces the lavish right to pamper one-self and also reminds me of my mother. I definitely need to get a full-sized tube of this for her! Rose: A hint of flower-power for comfort and an undeniably feminine scent. Marshmallow Extract, Alpine Plants, Baobab Oil, Shea Butter: To deeply moisturize. Arctic Rose & Rose Quartz: To de-stress. The first thing that hits me about this hand-cream is the scent. It has a heady hit of rose, yet manages to be so classic, so feminine that I wish it would last just that bit longer. The cream itself is rich and indulgent, yet it soaks up into my skin beautifully without the after-grease. My dry cuticles and nails seem to love this product too, and look decidedly healthier from the very first application. Where Can I Shop the Prismologie Range? 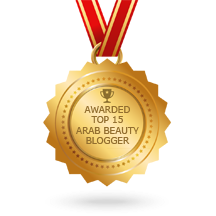 Posted in Beauty, Product Reviews and tagged Beauty, Gem Stones, Hand Care, Hands, Healing, Kuwait, Luxury Skincare, natural beauty, Prismologie, skincare. Bookmark the permalink.